I was recently given the opportunity to present at the North West England VMUG (VMware User Group) to give an update on VMware Education & Certification. The original presenter was forced to cancel at the last minute and I was luckily able to step and fill the presenter’s shoes. This did of course mean having to update myself on all things Education, but it’s always been something that has been a part of my IT career (and many others) so it wasn’t too difficult. The VMUG was held at the Rosylee Tea Rooms in Manchester and is arranged by @stevelm33 who is the local VMUG Leader. He does a great job coordinating and it was a much more relaxed and informal atmosphere than I was expecting. There was a great crowd of around twenty VMware enthusiasts who attended, and all were very friendly and interactive with the presenters…I’m happy to say. 😊I would strongly recommend anyone who works with VMware products and lives in that part of the country to attend; I know Steve would be happy to provide details if asked! This was the first slide I presented. I’m always a little hesitant when showing slides like this as I feel that anyone who has a technical certification already knows exactly why they achieved it. However, I felt the main point here was to push the employer benefits, since I know many people who work for organisations will not support them with their technical certifications and are often forced to pay for it themselves. I think if employers really understood the many benefits of having technically certified employees can bring, many would have a different perspective. Unfortunately, the view that they would only be arming employees with the tools they need to leave the business is still more common than is thought. In many ways the above slide is more difficult to discuss than the previous. Most people see these numbers and just assume they’re picked out of thin air, and while some of the stats certainly spark debate, others I think (points 3 and 6) really do show the benefits of being VMware certified; I know this at it applies to me! Granted I work for VMware, but my ability to provide my customers with a ‘higher level of customer service’ has been directly tied to my certifications because it was expected that all field PSO (Professional Services Organisation) delivery employees have a minimum of VCAP (VMware Certificated Advanced Professional). Achieving these allowed me to work on larger projects with bigger customers! 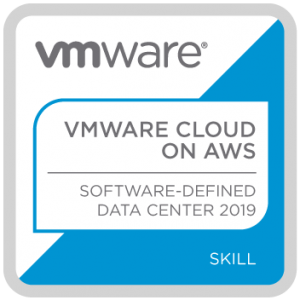 This then leads on to VMware certification ‘has improved my career prospects’ because being able to work on larger projects and taking on a larger role of course provides the experience needed to seek career progression…and has! I can honestly say my career progression from BT, to Dell to VMware PSO delivery to TAM wouldn’t have happened if I wasn’t VMware certificated. I know this also applies to VMware contractors who while acknowledge experience is king, wouldn’t have got many of the contracts they have were it not for their VMware certifications! I think Certification Manager is a big steps forwards. In the past you would often have to log in to one site to access VCP materials, then another to access VCAP with a similar thing for the exam portals. Now we have everything in a single portal which is much easier to access. Q) What vSphere feature allows for the seamless migration of running VMs from one ESXi host to another? Is it A. vMotion. B. Banana or C. Blu-Ray? While this question wasn’t on the VCA (VMware Certificated Associate) exam, it is the view of many I’ve spoken to of the type of questions you can expect when taking it. This is where we’ve made several changes to this certification. Firstly, there is no longer a VCA exam for each of our technology tracks, we now have a single VCA exam that encapsulates all of VMware’s products and technologies and is called the VCA-DBT (Digital Business Transformation). The questions have also been rewritten to make them more inclusive of the technologies and more relevant to the intended audiences. It’s important to highlight who this exam is NOT intended for, and who it is. It is not intended for VMware administrators, technicians and engineers, or effectively anyone who works with our products in a ‘hands on’ capacity. It is intended for those who need to prove they have a high-level overview and understanding of VMware’s product stack and how they come together in the SDDC (Software Defined Datacentre); such as team or group leaders. This topic is probably what gained the most interest from the audience, which is understandable given how certification is probably what most people if not all in IT have completed or considered in their career at some point. With VMware products being released at different schedules and in some areas different version numbers, we have ended up where we have different certifications for various vSphere versions and even a VCP7 for Cloud Management. These inconsistences across tracks not only causes some confusion regarding how recent the certification is, but of course always leads to the question, ‘when will the next versions exam be available?’, such as the VCP for vSphere 6.7. How VMware plans to resolve some of these issues is by no longer aligning the VCP and VCAP certifications to a product, but to a year; specifically, the year in which you passed the exam. To clarify, your transcript will still show the exam name and version of the product that you passed to achieve your certification, but the certification itself will be identified by the technology track (Datacentre Virtualisation) and the year you passed only. This does of course mean two people can achieve a VCP2019-DCV by taking two completely different exams, such as that for vSphere 6.5 and possibly that for vSphere 6.7. The question was also asked about delta exams and bringing existing certifications up-to-date. The requirements to upgrade an existing certification to the new year’s version will consist of some delta requirements. These requirements may consist of taking the exam for a new product, or a short CBT based training session depending on the number of developments or changes to the product. While I suspect some of this was already known by many, hopefully it was still of some interest. The feedback I had from those at the VMUG was positive, so I think it was still good to give an overview. I finished by talking about the Key Skills Assessment that VMware Education offers to customers. Effectively, the key skills assessments allow (typically 5 or more) team members to complete a short evaluation of their experience with VMware products and features. Based upon this information it provides back to the employer a heatmap showing which products and which areas people require additional training in. It’s important to make clear here that this isn’t an exam and those who participate shouldn’t feel that they’re being graded. Firstly, you start by selecting he products you work with; if you don’t work with a product you won’t be asked to answer any further questions. Secondly, it’s important to team leads to make it clear to those completing the assessment that it’s there to help the organisation understand what training is required and where. If it’s completed correctly, the benefits are apparent and have helped several of my customers in creating their training schedules. Next: Next post: 1 Week until VMworld 2018 Barcelona!